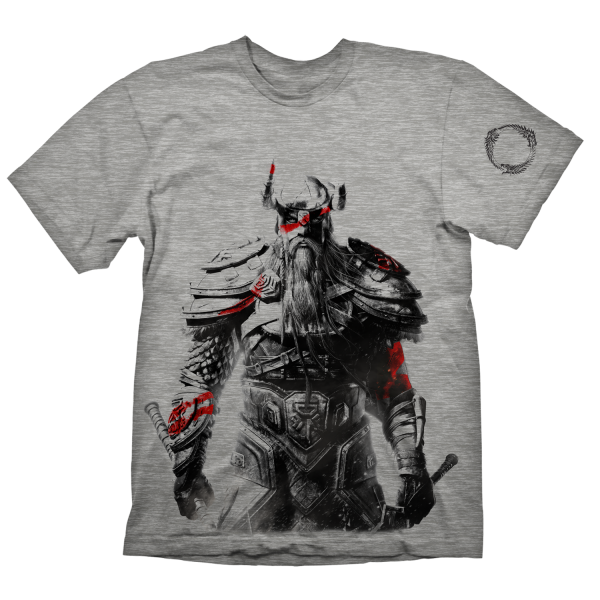 The gray-mottled t-shirt from "The Elder Scrolls Online" shows the drawing of a tribe member of the Nords, inhabitants of the northern province of Skyrim, which is marked with red accents. The sleeve shows the Ouroboros symbol. High quality silk screen print, 100% pre-shrunk cotton for a long lasting fit, even after being washed several times. Manufactured by Gaya Entertainment.